In recognition of National Community Planning Month, the City of St. Cloud’s Planning and Zoning Department is holding its 1st Annual Art Contest. This year’s theme, Housing as Community Infrastructure, highlights the importance of housing within St. Cloud and explains the critical role community planning plays in delivering housing needs to our city. 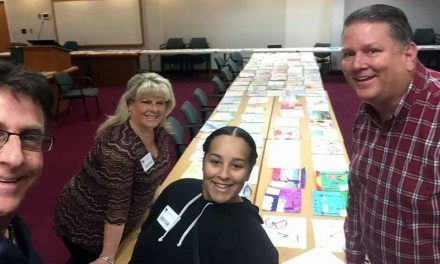 The Housing Matters Art Competition will allow students from kindergarten through 12th grade, within the Osceola County School District, to participate in prize-winning activities. All Artwork must be received no later than September 28th by 4:00 p.m. The Best in Show winner will receive a pair of Beats by Dre Studio3 Wireless Headphones. 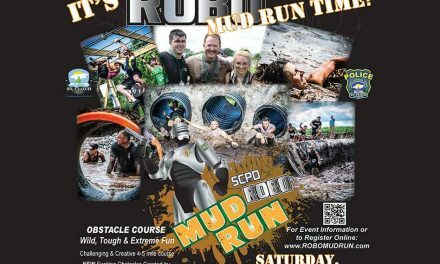 The top three winners and an honorable mention in each entry level, will also win a variety of great prizes. 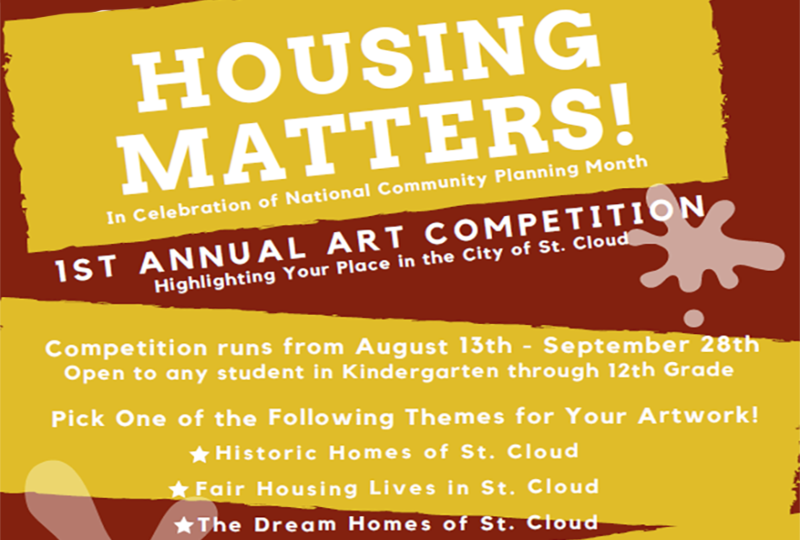 For more information on prizes and how to enter, visit www.stcloud.org and look for the Housing Matters Art Contest section under the Planning & Zoning tab.